Before serving cheese it should be left at the room temperature for at least half an hour to get its full taste and become easier to be cut and served, in case it is a bit older cheese. Cheese is cut in triangle shapes, while the skin part should be on the edge side of the piece and in this way it should be served on a tray or plate. It is important to serve the cheese the way it will not stay cut for a longer period and to avoid contact with dry meat products so as not to absorb their smell. Pag cheese is served with quality wine or with Dalmatian smoked ham or salted anchovy with white bread or warm Pag small loafs and olives. 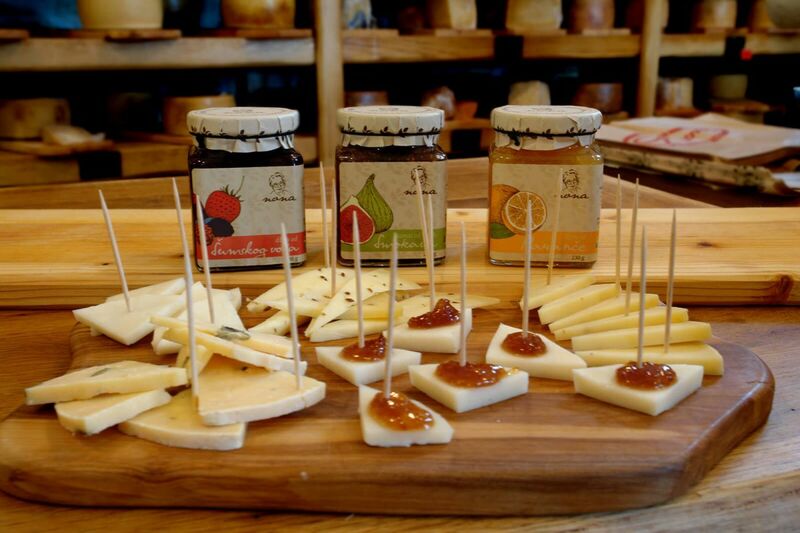 Old Pag cheese goes perfectly with grapes, Pag sage honey and virgin olive oil from Lun, Pag. Grated Pag cheese makes a perfection combination with home-made dishes such as gnocchi, risotto, macaroni or porridge. 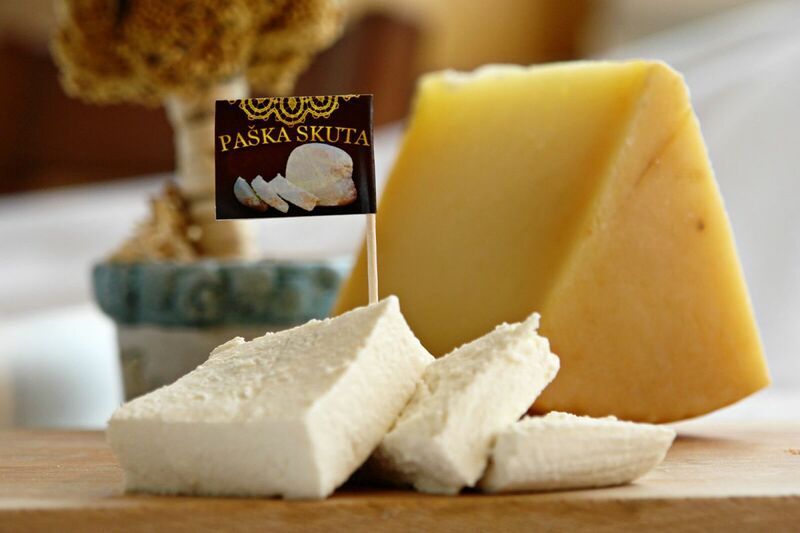 Old Pag cheese goes with stronger red wine such as Plavac mali, Babić, Marlot and Teran, while younger cheese goes with white wines such as Paški Gegić or Žutia, Pošip or Žlahtina.